Home / Ben Thrussell / EU Referendum / featured / Opinion / Politics / Will Brexit lead to a Conservative split? Will Brexit lead to a Conservative split? 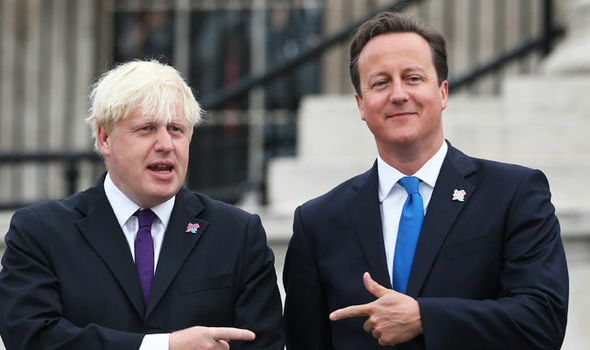 Boris and Dave. One sees this fight as a way of liberating the UK, the other as a way for said person to pave his way into 10 Downing Street. For Conservative supporters, this battle for success is both enthralling and nerve-racking, as they watch on without blinking but, at the same time, hiding behind their sofas in the knowledge that their party may well be torn apart by the split that first came to real prominence in 1992, after the signing of the Maastricht Treaty. I am one of these people, and I do want to leave the EU. However, what this referendum has caused is one of the deepest splits in the Tory Party for decades. In fact, one could argue that the last political split in a UK party this divisive was when Robert Peel, another Tory, repealed the Corn Laws in 1846. The events of this Parliament has presented my party with an overwhelming opportunity to seize power until 2025 at the earliest. The divisions within Labour, between Corbynites and Blairites, have presented the Conservatives with a marvellous opportunity. At this point, however, it is hard to see anything other than a hung parliament after May 7th 2020, as it seems that the Conservatives, currently knocking seven bells out of each other, Amber Rudd a clear example (saying the only number Boris is interested in is 10), are too disunited to fight a clear campaign that could gain them an increased majority. This leads me back to the original question: would Brexit be the beginning of the end for the Conservatives? Many political commentators and analysts think that Brexit could mean that the party have to raise the white flag, as they surrender to an already reduced level of public support due to cuts and apparent concerns over electoral fraud. Maybe it was meant to be this way. After all, the divisions within the party are the main reason we are having this referendum in the first place. I, though, think differently. I believe that this vote, if Brexit is achieved, could well be the beginning of a resurgent party, probably with a different, perhaps more popular, figure than David Cameron (Boris Johnson’s name immediately springs to mind). After all, former Chancellor Kenneth Clarke told the country that Cameron would not last “30 seconds” if he lost this vote. This vote could be mistaken for a vote of confidence in this government, the majority of whom want to Remain. If Leave win, the Prime Minister and, I assume, the Chancellor, Mr Osborne, would have to resign. It is unlikely that they would be allowed to continue by their party, let alone the whole country. This, again, leads us back to that question: would it lead to a Tory split? For the political left, this referendum must have been a godsend, dividing the Tories beyond recognition, and allowing the public to become so fascinated by that split that they forgot about the divisions within the Labour Party. For the Conservatives, a ‘Brexit’ vote would enable the party, a largely Eurosceptic one, to refocus on their goals of cutting the deficit and beginning to pay off our national debt. It would enable the party to rally behind a leader who commands the vast majority of party support, and win again in 2020. It would enable the party to enhance their majority, with a popular leader such as Boris or Michael Gove, and it would enable them to forget about European differences and focus on the interests of Great Britain. The underlying factor is this: those who want to Remain are, even just a little, Eurosceptic. They would be more willing to leave than the leavers would be to remain. David Cameron and George Osborne have both classified themselves as Eurosceptics. They both told us that a reformed EU is one they would campaign to stay in, but they could be persuaded to campaign to leave if reforms were not up to standard. Brexit has been predicted by many to mean a split so deep in the Tory Party that no leader ever would be able to fix it. I believe, though, that Brexit would do the opposite. It would unite the party in a common cause: the interests of the UK. It would unite the party behind one leader, a ‘Brexiteer’, a figure we can trust. A figure whose name is Boris Johnson.